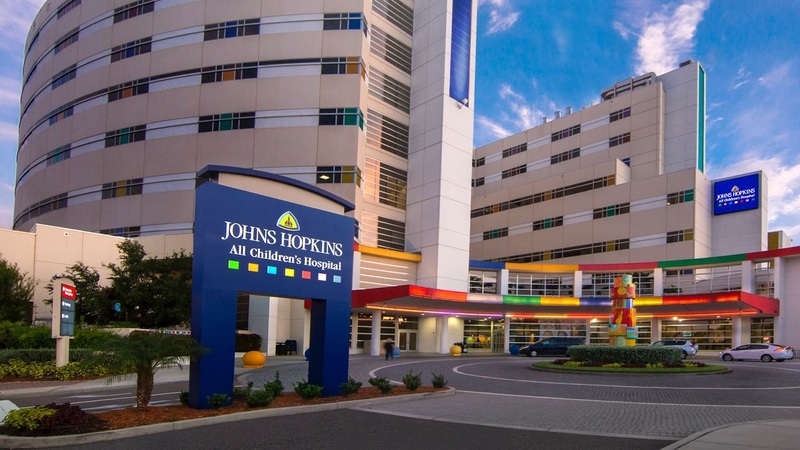 Johns Hopkins All Children’s Hospital in St. Petersburg, Florida, has notified parents that if their children are not vaccinated, or if they follow an alternative vaccination schedule, that they will be denied medical services. 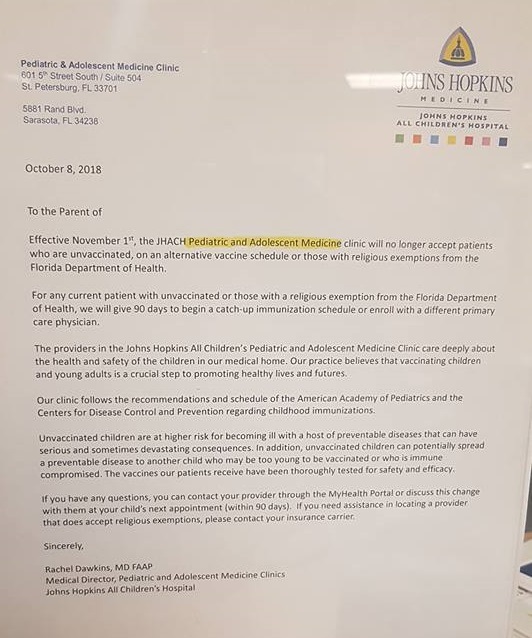 They also notified parents that they will not honor Florida State law that allows for religious exemptions to vaccines. 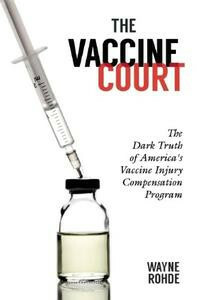 The photo I am posting demonstrates the next phase of the systematic destruction of your health care rights emanating from the vaccine industry. I admit this is frightening. A prestigious institution has announced that it will deny care to those children who are unvaccinated. We have discussed this coming draconian event on this page and I believe it will be an infectious wave that will hit most other pediatric medical centers. Please note that it does address religious beliefs, and essentially will be ignoring those beliefs. Is there anything you can do about this? Perhaps. Please see the video below. The Department of Health and Human Services has established an office to assist those whose civil rights are violated in the “health” industry. Your religion is protected by the First Amendment. If Hopkins is getting any kind of reimbursement from the government, the institution could be held accountable for participating in a civil rights violation according to the people who forwarded me this information.